According to a recent survey by the British Skin Foundation, what impact does acne have on self-confidence? Three in five teenagers surveyed by the British Skin Foundation reported ‘a fall in self-confidence’ as the biggest impact that acne has on their lives. From my experience as a dermatologist I find that those with acne can often feel unsupported, socially isolated and become withdrawn. This fall in self-confidence can affect all aspects of their life including relationships with family, friends and peers. What are the main misconceptions about acne and why is there a stigma surrounding the condition? Despite acne being so common, there are still many misconceptions that surround it. Myths include that acne sufferers are dirty/don’t wash properly, that their diet is poor (they only eat junk food) or that they will ‘grow out of it’. These myths play a huge part in the stigma surrounding acne and it’s perception by non-sufferers. How many teenagers reported being verbally abused because of their acne? The British Skin Foundation survey found that 62% of teenagers were verbally abused by people they knew such as friends, family or peers which is disappointingly high. Some 40% also reported that they were verbally abused by people they didn’t know. This kind of treatment can really impact a person’s self-worth and lead to depression. Why do you think self-esteem is so closely tied to acne and the skin? In today’s society social media, television, film and magazines all put pressure on young people to look ‘perfect’. It’s therefore easy to understand why teenagers experience low self-esteem if they suffer from acne. The face is always on display and it’s difficult to hide spots from their peers. Teenagers can end up feeling as if they’re not normal or ugly if they are unable to live up to celebrities and their friends. What is really sad about it, is that acne, for the majority of people is a treatable skin disorder, and having suffered with it myself, I really do feel that no one should just have to live with it. A good dermatologist can offer a large number of potential treatments that can be tailored to the individual. Unfortunately, the skin is such a visible organ, that it's only natural that self-esteem is so closely tied to it. 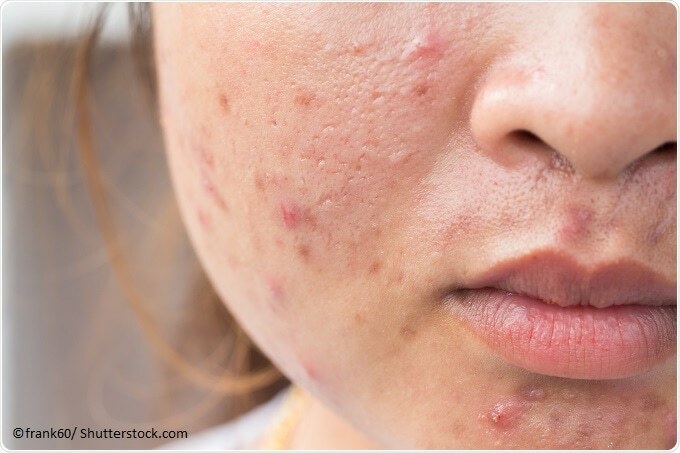 What further research is needed to investigate the psychological burden of acne? The detailed mechanisms of interaction between acne and psychological stress have not been studied. There is limited epidemiological data linking acne and psychological state. Large studies comparing the effects of acne in different age groups are unavailable. We do not have data on whether psychological intervention (and which intervention) may be best for those with acne. The research possibilities are endless but these touch on a few potential areas. What are your top tips for combatting acne? Wash your skin twice a day – morning and evening. What support is available for people with acne? The British Skin Foundation has a Talkhealth forum for people who suffer from all kinds of skin conditions including acne here. There is also an upcoming ‘Ask the Expert’ clinic on acne which allows users to log on and ask BSF experts their acne questions. There’s an initiative called School Derm Time which includes downloadable resources for schools. Most importantly see your GP or dermatologist and ask for help. Dermatologists are the only medical doctors with an in depth knowledge of skin function in health and disease and will be able to give detailed treatment plans for acne and psychological support. Dr Anjali Mahto is a UK-trained Consultant Dermatologist. Her medical training took place in South Wales, where she also intercalated in Clinical Pharmacology. She completed higher specialist training in dermatology in a competitive London rotation. During this time, she gained experience in some of the UK’s leading teaching hospitals including Imperial College Healthcare and the Royal Free Hospital, Hampstead. Dr Mahto has been actively involved in medical education and training. She has presented extensively at both national and international conferences. 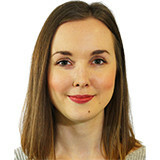 She was awarded a British Society of Paediatric Dermatology (BSPD) case prize during her training and has published original reports in scientific literature. Dr Mahto works as a consultant dermatologist in North West London Hospitals NHS Trust where she is also the lead for paediatric dermatology services. She is happy to consult both adults and children with skin, hair and nail disorders and she is qualified to manage all skin conditions in adults and children. I hardly think that any research time needs to be wasted on whether acne destroys a teen's self esteem. That is a given. If you are ugly as a teenager you are naturally going to be rejected by your peers and, if you are an ugly girl then you will be bullied, neither of which are going to help self esteem. Perhaps the same amount of time and funds could have been spent on working on a cure that does not involve taking antibiotics for months a time.